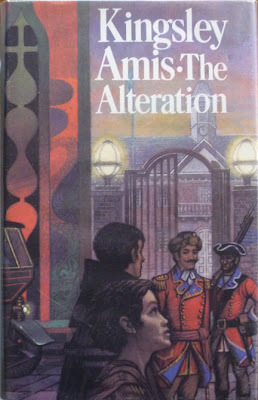 I did already have a copy of this edition (and I have a paperback too, with a Beverley le Barrow cover – I'll have more on him soon), but this new copy is in much better nick than that previous one, certainly the best condition I've seen this particular edition in (and it was only a tenner, which was very reasonable). You'll often find with the Cape first that the pages have browned and the dustjacket spine has sunned (i.e. faded – and yes, I'm aware this is all dreadfully nerdy book-collector stuff; have you read Existential Ennui before? ), but this copy has only lightly tanned pages and the spine is as brightly coloured as the rest of the jacket. Which is good, because the illustration, by Tom Adams, wraps all the way around it. 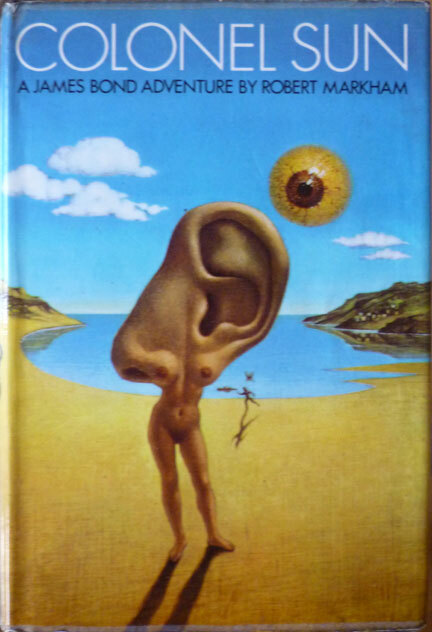 The Alteration isn't the only Amis jacket that Adams illustrated; he also provided the Dali-esque dustjacket for the Cape first edition of Amis's pseudonymous James Bond novel Colonel Sun (written as Robert Markham). 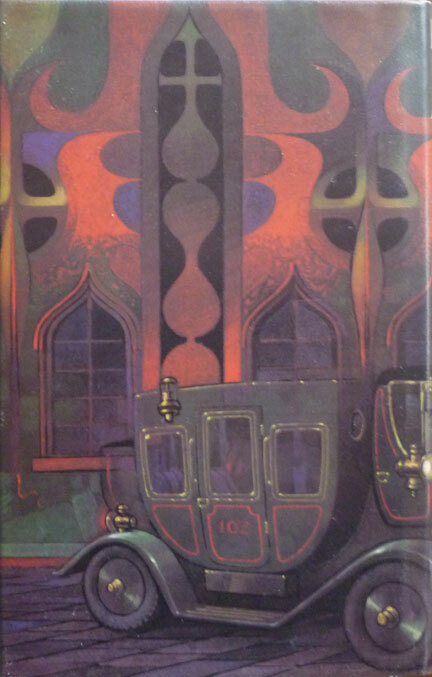 But he's best known for the series of covers he created for the Fontana paperback editions of Agatha Christie's novels in the 1960s and '70s. There's an entire book dedicated to those – Tom Adams' Agatha Christie Cover Story (a.k.a. The Art of Her Crimes), long out of print, although we have a copy at home – not to mention a Flickr group and a Facebook page. And there's also Tom's website, which is definitely worth a gander.